Defy Partners, a San Francisco-based early stage venture company, announced it has closed a $262 million oversubscribed second fund. With this second fund, Defy Partners is going to continue to lead investments where it commits $3 million to $10 million in initial financing for real ownership while also reserving significant capital for follow-on financing. And Defy will continue to be active board members, provide early customer introductions, assist with team building, and create real value to the remarkable entrepreneurs who partner with Defy. Defy was founded by Neil Sequeira and Trae Vassallo. 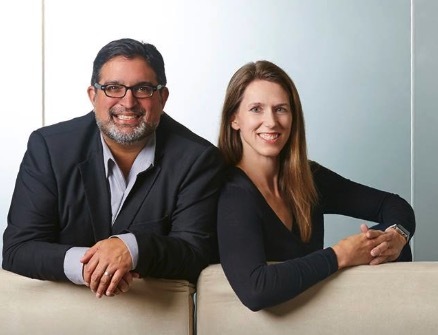 Sequeira had worked as a general partner at General Catalyst for more than a decade and led investments in companies like Bustle, Elemental, The Honest Company, and Vitrue. And Vassallo was formerly a general partner at Kleiner Perkins and invested in companies like Dropcam and Nest. Ever since Defy launched the Fund I in early 2017, the firm invested in companies like Airspace, Owlcam, and Securly. And Fund II will continue to focus on investing in authentic entrepreneurs. Recently Defy also announced the launch of the Defy Sage program, which brought successful multi-time CEOs Brian Lee and Sujal Patel on-board to expand the firm’s reach and domain experience. Lee is a multi-time founder and CEO behind companies like LegalZoom, ShoeDazzle, The Honest Company, and is the current co-founder of The Art of Sport. And Patel was CTO of Real Networks before launching Isilon (sold to EMC).